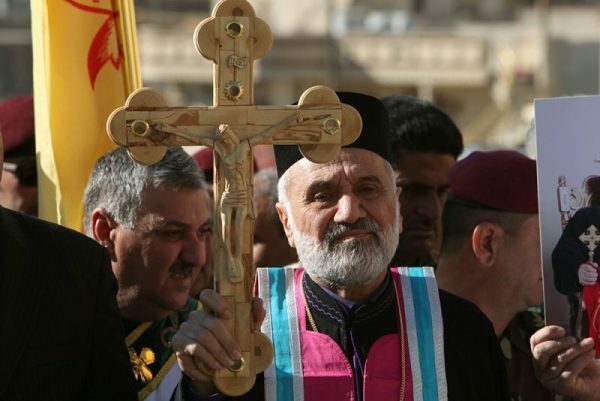 Christians in Iraq will begin an 80-mile march on Palm Sunday with a mass in Irbil, calling for an end to violence by the Islamic State terror group in their country as well as throughout the Middle East. A group of about 100 people, which would also include a few foreigners, will participate in the peace march which will begin with a mass in Irbil on Sunday, according to Patriarch Louis Sako of Baghdad of the Chaldean Catholic Church. Iraq was home to 1.4 million Christians in 2003, but now they number only about 250,000. While many were killed, others fled the deadly and frequent attacks by Islamic State, also known as IS, ISIS, ISIL or Daesh. “At the moment, we are going through the tunnel, and we need to work hard and pray without ceasing for peace in our country and the region and for the safe return of the forcibly displaced people to their homes and properties,” Patriarch Sako recently said in a Lenten address. Security forces backed by a U.S.-led international coalition last year took back several cities in Iraq from IS, and liberated eastern Mosul in December. They are now trying to liberate the western parts of the city. Christians are now returning to their homes on the Plains of Nineveh about three years after being displaced, and three major church groups in the country have come together to rebuild more than 12,000 houses that were destroyed or damaged. The three churches are the Syriac Catholic Church, the Syriac Orthodox Church and the Chaldean Catholic Church. A recent report on the ancient Iraqi city of Qaraqosh, which was liberated from IS last year, revealed that one of the oldest Christian communities in history living there remains decimated, but residents have hope that God will restore their land. Qaraqosh was liberated in November 2016, but the war left it leveled to the ground, with piles of rock and debris being the only things remaining in places where homes once stood.